Today I’m answering a question recently posted by a reader. How do I get an agent? Getting an agent isn’t quite so simple, but I’ll give you some of my thoughts on the subject. 1) The term “get an agent” makes the whole process sound a bit stark and impersonal. “Get” reminds me of getting my oil changed or getting my snack on. But, actually, if we’re going to use the word, it’s more like getting married—two people coming together toward a common purpose. The writer says to the agent, “I like how you work. Will you believe in me enough to approach editors at publishing houses with my proposals?” The agent says, “I will.” And the author promises to respect the agent’s opinion, not call and e-mail too much, and do her part by creating amazing projects and spiffy proposals. It’s a relationship , granted it’s a business relationship (don’t expect your agent to be your best friend), but remember it's based on mutual respect and trust. Don't only focus on what the agent can do for you, but how you can contribute to the happy union. 2) Patience. It took me ten years to find someone to represent me. If there’s one lesson I’ve learned over the years, it’s to be patient with the writing journey God has me on. (Well, I try to be patient.) Honestly, it took that ten years for me to become a good writer. Good enough to get published, good enough to deserve an agent (not that I don’t still have room for improvement!) With each rejection (from an agent or editor), I had to decide either to quit the whole thing (which I thought about sometimes) or hunker down and grow in excellence. Then, when it was God’s timing, a great agent came. Tune in next week for three more of my observations on "getting an agent." What thoughts do you have? How did you “get” an agent? I’d love to hear your stories. And don’t forget to send me your writing questions either in the comments or at ocieanna.com. Happy writing and God bless! I started the writing craze. Then I got my husband involved. We combined as a team. Then his fiction got so prolific that it consumed us both, to keep up with the process before and promotion afterward. Now that I’ve lost Steve, I’m so used to the team brand, I’ve lost my own. That’s not a complaint. It’s just a statement of where I’m at after losing my mate of 48 years, my partner in almost everything. 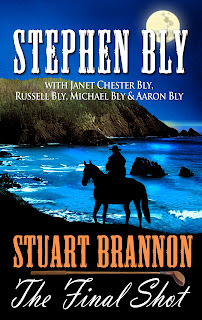 In early January 2011 Steve resolved to do three jobs by summer: prune the pines in our yard; re-roof the house; complete his contracted 106th novel, Stuart Brannon: The Final Shot. A few weeks later he played eighteen holes of golf. The next day, he could hardly stand for more than a few minutes, breathing hard. His almost five-year battle with prostate cancer finally took its toll. The next four months he spent more days in the hospital than out. He passed away June 9th. Determined to finish his list of projects, I hired a tree trimmer. I found a roofer. Steve left us 7,000 words, a synopsis and some character names. 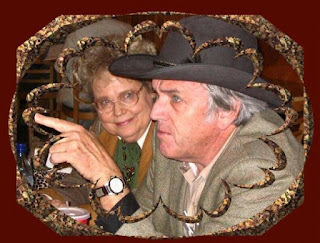 I had never written adult fiction alone, although I had authored children’s books and co-authored adult cozy mysteries with Steve. I tore into our writing books for some quick tips and printed out excerpts for the sons. I sensed the wisdom and God’s own purpose for including Russ, Mike and Aaron. For one thing, to incorporate Steve’s input throughout. Some of that I knew by coming alongside him all those years. But our sons possessed a part of his creative genes. They also knew about golf swings and poker hands. All three were movie buffs. They had a passion for analyzing characters and storylines. They had to be involved. So I joined another partnership. Any suggestion could be made, but I had the power of last edit and control of the ‘send’ button. I had to find my rhythm in Steve’s story. And how to write from a man’s point of view. Westerns were Steve’s genre. He knew the geography, history, facts about guns and horses, the language and the lifestyle. We had to play catch up on all fronts. This story had to read like a Stuart Brannon character and a Stephen Bly novel. My goal had been to pour out at least 5,000 words per day, like Steve did with ease. I couldn’t do it. I had to downsize to about 2,000. That frustrated me and caused panic that we’d never get it done in time. Then I realized I self-edited as I wrote, which took more effort. When several of the boys crafted scenes of their own, the total count jumped and I knew we’d make our goal. Our women readers would wonder if Brannon, a long-time widower, would find romance. This plagued us for some weeks until the true lovers emerged. The last scenes Steve dictated to me in a quarantined hospital room. I wore a sweaty yellow gown and acrylic gloves, while typing as fast as I could. In order to include these vignettes, we devised dream sequences for Brannon. With the time crunch, there wasn’t space to give the manuscript a rest, to put it aside so we could come back to it fresh one last time. Instead, we turned it in after frantic days of rewrites. I didn’t get overwhelmed by the impossibility of the task or the inevitable comparisons on the quality by my peer group. I stayed steady because I knew without a doubt this must get done. Looking back, I’m astounded that we accomplished this daunting task. To God be the glory. The most enjoyable aspect was working with my sons. We labored on behalf of someone we dearly loved and missed. In the midst of the occasional stab of tears, we grieved together. The fiction crafting process itself proved therapeutic. The intimate look into Steve’s favorite character, this journey along the frontier of this man’s soul was like peering into Steve’s. This stanza is adapted from one of my husband’s poems. and I still got that guy in my heart. In a research trip to the Oregon coast, two weeks before deadline, I retraced the spots where Steve and I had gone together many times. This round I paid attention to more than the fish dinners, driving on the beach and sunsets over the ocean. After a closer perusal of the old Gearhart golf course where Steve had played, I studied the geography and history and discovered some mistakes we’d made. For instance, an island scene couldn’t happen. No islands near Oregon, only rock outcroppings. I wondered what Steve would have done. He’d never have made the error in the first place. He had a photographic mind for sensory details and facts. But I discovered Tillamook Head. Hiked it. Learned the background. Made the change. I think Steve would have been pleased. . .that we got it right. Janet Chester Bly has authored 30 nonfiction and fiction books, 18 she co-authored with Christy Award winning author, Stephen Bly. Titles include The Hidden West Series, The Carson City Chronicles, Hope Lives Here, and The Heart of a Runaway. She resides at 4200 ft. elev. on the Idaho Nez Perce Indian Reservation. Her 3 married sons, Russell, Michael and Aaron, live down the mountain with their families. Stuart Brannon: The Final Shot releases March, 2012 in large print, hardback and ebook. Paperback version will be available August, 2012. Follow Janet on her website, blog, Facebook page and Twitter. When you begin to find the writing choices that fit your unique approach, you become freed from the pressure to “do it all.” Mother Theresa and Billy Graham had two different approaches for sharing their faith – and so do writers. One novelist might explore the depth of God’s mercy through the symbol of a character’s sacrificial service. Another might share the truth of salvation through a scene of overt and specific dialogue where one character tells another what she believes. My personal view is that we need it all. We need variety. God is so awesome and multifaceted that we need a variety of ways to communicate about Him. We need authors in many genres. We need authors who focus vibrantly on spiritual themes, and those for whom the spiritual threads are subtle. We need authors who write characters who are sturdy Christians who live out their faith in identifiable ways, and characters who are seeking and questioning, and characters who (perhaps like some of our readers) rarely think about God. I look at Psalms 145-150 and the way they list a zillion ways to praise God, and I rejoice that we have Christians who write in a variety of genres and styles, and focus on various audiences and different ways of sharing faith through fiction. 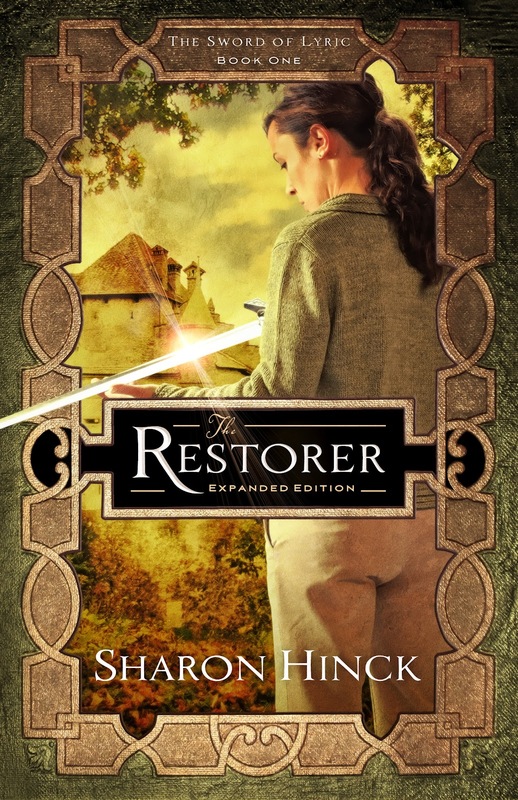 *This article is an excerpt from Sharon Hinck’s ACFW course on Sharing Faith in Fiction. Used with permission. Next week, Part III. Sharon writes “stories for the hero in all of us,” about ordinary people experiencing God’s grace in unexpected ways. 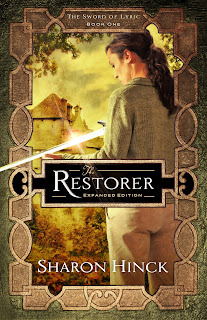 Known for their authenticity, emotional range, and spiritual depth, her novels include contemporary fiction such as The Secret Life of Becky Miller or Stepping into Sunlight and the groundbreaking Sword of Lyric fantasy series which includes The Restorer–Expanded Edition. She’s been a Christy finalist and won three Carol awards. The most important thing I've learned about writing is that it's a process that takes time. I know newbie writers don't want to hear that, but it's true. Very few, in fact none that I know of, sat down, wrote a first draft of a novel, and, voila, got it published. The advice I'd give those who want to write any type of fiction is keep writing. Turn your internal editor off and just write. Discover your voice and don't let critique groups, beta readers, or editors change that. Second to that and almost as important is to read those you admire in your genre. Read the work of those who you feel are at the top of their game, the best of the best writers. Which authors in your genre are finalists and winners in the major fiction awards? Read them. As you read, make mental notes, or actual written ones. What makes their work so compelling? And yes, get into a good critique group if you haven't done that yet. American Christian Fiction Writers (ACFW) has a wonderful critique group system set up. Some people prefer Beta readers. If you're going to use Beta readers, get more than one so you can compare what they say, and get ones who aren't afraid to be critical. I love the critique group process. However, I don't change things in my manuscript just because a critique partner suggests it. If two or more crit partners see the same problem, I'll take a real close look at it and will probably make the change. Find out how you work best. Are you a plotter or a panster? That means do you work best writing by the seat of your pants, not knowing what will be written next? Or, are you one who must outline the entire book and not only that each chapter has its own individual outline? I even know a writer who outlines each scene in the chapter, but we won't call her obsessive compulsive, will we? Hey, she's a really good writer. Perhaps you're a combination of these two. I am. I write as it comes to me, but I also have a working outline I refer to as I'm writing. Of course, what I'm writing (if it works) trumps what's in the outline. 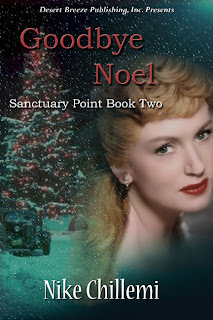 Quite naturally, I found myself far less anxious when writing my second novel Goodbye Noel. I'd already reached publication once, so I knew I could in fact do it again. Not only that, people seemed interested to read what I felt compelled to write. That's another point, be true to yourself in your writing. I also suggest taking real time and online classes and seminars about writing technique and also about the business of publishing. After the manuscript is polished, the writer still has to query it, get a contract, and after its release market it. Nike Chillemi has been called a crime fictionista due to her passion for crime fiction. She was an Inspy Awards 2010 judge in the Suspense/Thriller/Mystery category and a judge in the 2011 Carol Awards in the suspense, mystery, and romantic suspense categories. She is the founding board member of the Grace Awards and its Chairman, a reader's choice awards for excellence in Christian fiction. 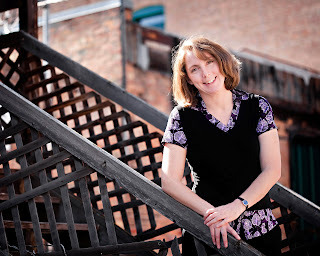 She writes book reviews for The Christian Pulse online magazine. Burning Hearts is the first book in the crime wave that is sweeping the south shore of Long Island in The Sanctuary Point series, published by Desert Breeze. Goodbye Noel, the second book in the series was released in December, 2011. She is a member of American Christian Fiction Writers (ACFW) and the Edgy Christian Fiction Lovers (Ning). What are God's works of providence? A. God's works of providence are his most holy, wise and powerful preserving and governing all his creatures, and all their actions. The Presbyterian in me couldn’t help but throw in a catechism question for ya. I’ve been thinking a lot about God’s providence lately—in many areas of my world. Today, I’ll focus on that big nebulous zone I call my writing life. Have I told you the story of how I first got published? I’ll keep it brief, but basically the owner of Summerside Press contacted me (yeah, HE contacted ME) and asked if I wanted to write a book for them. (He was a friend, but I didn’t know he owned Summerside!) Crazy, right? The thing is, I’d worked for years (…twelve!) to get published and only received rejections. Some were stock, with a box checked off. Other letters were more personal and kind. The best ones gave clues why it was rejected. At least those gave me something to work on. So many of those nasty letters had bombarded me, I finally decided to give up. I was done with the whole blasted getting published thing. No more query letters, no more proposals, no more elevator pitches, and no more following the trends. Done! It felt great to let it all go. I was content blogging and writing my novel at my own pace. Peace. Tranquility. Then, bam! The door opened wide. A FaceBook message from my friend the publisher changed everything. And my first book contract landed in my mailbox almost faster than I was ready for. Despite my intention to give up, I gladly walked on through (more like skipped). Yay! God was finally blessing me. Everything was going great. I thought surely my writing career would take off and never slow down again. But that’s not what happened. In between the contracts came that old familiar time of … crickets. You know what I mean. An idea comes a-knocking, you swoop it up, play with it, create a premise, proposal, chapters, outline—fun! Send it to an editor or agent, then … crickets. Nothing happens. Weeks turn into months, and doubt and discouragement set in. As much as it felt like God’s favor guided in the earlier success, I worried that He bailed when I was left waiting. But that’s just bunk, isn’t it? Do you remember that section in Numbers when the Israelites were stuck in the wilderness? God guided their movements with a cloud by day and a pillar of fire by night. If He wanted them to set out, the cloud would move, guiding them. And if He wanted them to stay put, the cloud just hung there. Sometimes it settled in for months, even years. Yet, that’s how I feel sometimes. If my dreams are coming true, if goals pan out, if my hard work is rewarded, God loves me. A rejection letter, a long period of waiting (so common in this profession! ), or a critical review means He doesn’t love me. What lies beneath those whines is a heart that worries that God doesn’t love me anymore. I admit it. I sometimes don’t REALLY believe it. "Do You really love me? Really?" And when things don’t go my way, it proves the lie to me. Nope. He must not truly care. See. I knew it. But, then. That whisper. You know it. All we sheep know it. The cloud never left the people of Israel. His presence was always there, when the cloud moved or stayed still. He was still there. So when the cloud seems stuck in the sky, unmoving—I seek to find comfort in His presence. Remembering there’s more to life than the next big writing opportunity, and maybe, just maybe, He knows best. He does know best, of course, and more amazing than that? He loves me. He loves me when I get a message out of the blue from an old friend who happens to own Summerside Press, and when all I hear is crickets. He always loves me. In all the ups and downs of this writing life, His love never changes. Ask O: How Do I Keep Readers from Getting Lost? Happy Wednesday, my writing friends! Today’s question is about setting. Some call it story world. Recently, I looked over a paper for a student in English 101. This person had no experience writing papers at all. I easily fixed the grammar and punctuation errors (wondering why a high school teacher didn’t teach the basics to this poor soul). But the more difficult bit to correct was the confusing sense of place. I liked the concept of the story, but very early on, I got lost. I understand the problem. Often my story is so clear in my mind, I forget readers don’t have the same clarity. Here are a few tips to keep readers on track. In subsequent scenes, even if it takes place in the same room (or cabin or castle), the reader may forget where the characters are. I do sometimes! So I almost always throw in a wee reminder. If my character is in the cabin, I’ll have him notice the snow falling outside the windows or take in the folks joining him for an evening of guitar singing around the fire. Just a quick hint, not a full-on description, brings it back. "Oh yeah, I remember this place." Who, What, When, Where, Why, How: Sometimes when I’m first writing a scene, I’ll simply tell the answers to these questions in the first paragraph. Yes, I said “tell.” Gasp! Especially if I’m unclear about the setting, I just spew it out in a narrative mess. Then, when I’ve answered the five Ws and an H, I move on. I’ve noticed when editing that forgetting even one of these questions (who, what, when, and where in particular) leaves me feeling ungrounded and distracted from the characters’ plight. We don’t want that! So be sure to include them. These three tips should help you keep yourself (and readers) from roaming around your story looking confused. What are your suggestions for grounding readers in your story world? I’d love to hear. As it relates to a profession, the desire and ability to write has taken me by surprise. 100 percent of my writing prior to SUBMISSION hinged upon academics or sermon preparation. The thought of putting together an actual book was far from my mind. In my case, it was a difficult season of life that sparked the desire to write. As previously mentioned, I constantly wrote as a means of preparing to preach and minister, but a trying season in 2009 sparked me towards a new way of sharing the message of Christ. It is incredible how God can use situations to shape and prepare us for the purpose that He has for our lives. He knows exactly what He must take us through in order to get us in position to advance His Kingdom and glorify His name. In our case this season revolved around two difficult miscarriages. God’s grace is always sufficient and looking back, I know that my wife and I are stronger because of this journey. With all that being said, my calling and passion to write began in the midst of this trial. The hurt and pain that we experienced was different on many levels than anything we had yet faced. I can distinctly remember singing that line with such enthusiasm and passion. My heart longed for nothing more than to be used to bring glory to my Savior. The night we lost our second baby, those words ran through my mind offering a fresh perspective. My thoughts revolved around this: “If I want to live to glorify Christ above all else, I have to realize that it is NOT ABOUT ME!” Living to bring glory to the name of Christ means placing my trust in Him no matter the cost or situations I must face. In a nutshell, this is the testimony of my calling to write. As submission to the voice of God became clearer and burned within my heart, I could not keep myself from writing it down. My prayer is that God not only allows me to continue to write about submission, but more importantly gives me the faith and ability to daily walk it out. ZEKE LAM is the founder of SUBMISSION Ministries—a ministry devoted to seeing lost souls encounter God and live lives fully surrendered to the risen Christ. 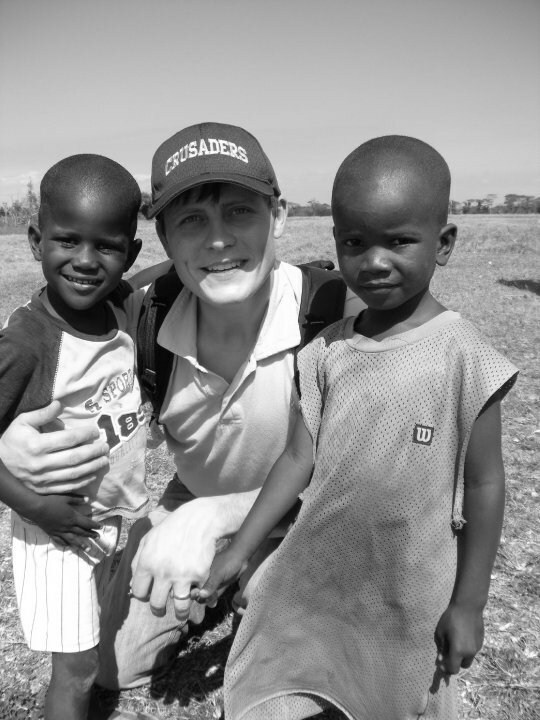 A graduate of Liberty University, Zeke’s deep passion for following Christ’s will has led him through many years of youth ministry and itinerant evangelism. Both of these experiences have enriched and fueled his desire to hand others the keys to a Christ-centered life. Zeke resides in Virginia with his beautiful wife, Kathleen, and a growing family of future world-changers. Connect with Zeke Lam on his website, Submission Ministries.